A journalist of distinction, who knew no bounds to her loyalty – to her family, profession and friends. Mel took over the challenge of building LBO at a time most people were skeptical about the future of web as a delivery mechanism for news. That was way back in 2000 when the web was in Jurassic Age. In Sri Lanka, she created a wholly new branch of journalism and a new art and form of writing financial news. LBO would not have reached where its today, if not for her commitment and leadership. She was fiercely independent and never bowed down to commercial or political pressure. She was committed-stubbornly- to the highest standards of her profession. Mission of her life was to serve the rights of her readers-right to know unbiased, accurate and insightful news, timely. Relentless pursuer of truth, Mel was guided by only one voice- the powerful voice of her own conscience. Once, during the early days of LBO, Mel reported on a landmark regulatory action against a powerful service provider. The company together with the PR and advertising agency brought much pressure upon her to retract her stories. She didn’t deviate from her principles and continued to cover the story. That was Mel, a shinning light of financial journalism in Sri Lanka. Mel was ever so effervescent- who lived her life to the fullest, packing her days with her work, other interests and time for her family and friends. She was funny and loving. Never a boring person to hang out with, her conversations were always full of witty remarks and often interrupted by her own loud laughs. Mel’s untimely death in the hands of an assailant brings us close to the reality of the lowest of depths our society has fallen. A piece of metal was more valued than a human life by the coward who murdered a wonderful human being at her prime age. We lost Mel, at a time this country needs more of people like her. With her death- her brother lost a loving sister, her parents a wonderful daughter and the rest of us, her friends, lost a friend who knew no bounds to her loyalty. This is not something that I even dreamt that I will ever have to write. Cold shivers ran through my body when I saw the SMS from a news website announcing Mel’s passing away. I could not believe my eyes. How could this happen to her ? Is this message for real or somebody’s sick idea of a joke ?There was only one way to find out and I immediately went to her house at Battaramulla. From a distance I saw several police vehicles parked down the road which told me the story. I met Mel for the first time when she came to cover the launching of a website by my former employer little over ten years ago. We became friends and over the years our friendship grew stronger. Both of us changed jobs but we kept in touch, calling each other often to share news about the business world and stories about mutual friends. I found Mel to be a happy and a cheerful person and there were many times when she cheered me up when I was depressed over issues at work. I spoke to her for the final time little over a week ago, in relation to a work matter which involved getting some information from her employer. When I hung up on her I didn’t know that it was for the last time… ever.. I still cannot believe that Mel is no more…. that we will not see the cheerful smile ever again. It is not real. I wish that this is a dream that I could wake up from soon. Mel, your body is no more.. but you will live in our hearts until the day we die. It was way back in 2000 if I recall right that I first crossed paths with Mel when I used to be a more regular at the forums & then also occasionally socially too.. For me then she was just another person who I’ve met through Lakshman & of course Asantha. Out of many, Mel was one of the few who kept in touch through out while even Asantha I lost contacts who I used to keep in touch quite regularly. But the first moments it self she fascinated me simply because of her interest to the subject of course it was mostly IT, technology & a bit of business. She always made me feel good showing keen interest on my opinion & then talking further I realized what an awesome person to talk to who had magnificent contributions her self obviously later we all knew, at least I did. Then time went by and a few years later my attendance was not so regular at the forum. By then we had already exchanged contact numbers and chatted or checked with each other occasionally on similar matters. It’s been awhile since I’ve been to a forum but we would still bump into each other mostly at a business function where she would be there to cover the event but always took time to find a seat to catch from where we left may even be from a few months back. The beauty of her was that even if I bump into her at some place she would always have a story to tell & don’t fail to get a bit more than a ‘what’s up, how are things or what you up to now?’ through out mostly with a gin or with that nice wide smile of hers. The last time was a couple of months back at the opticians where I called her standing a bit further away.. She was in a mighty rush but still picked up the phone to say will call back. I then tapped on her shoulder but that was the most brief encounter I had with Mel, the last one, where she took off in a hurry promising to call back. That call of course never came but we had opinions shared over fb on & off. She was not my closest buddy but always appreciated her not really for the credentials but for simply what came out of her & what she perceived to be. Left is the character to be cherished & wishes with blessings to rest peacefully. I got to know Mel best after I started presenting LBR. We would have endless chats and I would try to convince her that where I worked before was a responsible corporate citizen even though it was a controversial industry. We would debate, until the set was ready for me to start recording…. And all of this with her million dollar smile. On a good day when she was working late…we would still be talking in the car park. We became friends and she moved on and I moved on….our discussions on the economy and the business front continued and she would never fail to ask how my children were….. I have only met a few who went to great lengths to finish a story and finish it well, and Mel was one of them. I still can’t believe she is gone….as Amal says”it was a shock and many aftershocks”… Mel you will be missed! Rest in peace my friend. In 2008, I was hired by the government of the Republic of Maldives to help prepare their state radio and TV broadcasters for the country’s first multiparty democratic presidential election. But I wasn’t the only journalist involved in the ambitious journalism training program. Mel Gunasekera was there first. To appreciate what Mel did, you have to know that in many developing countries “business reporting” amounts to little more than taking bribes to publish press releases. Mel was different. 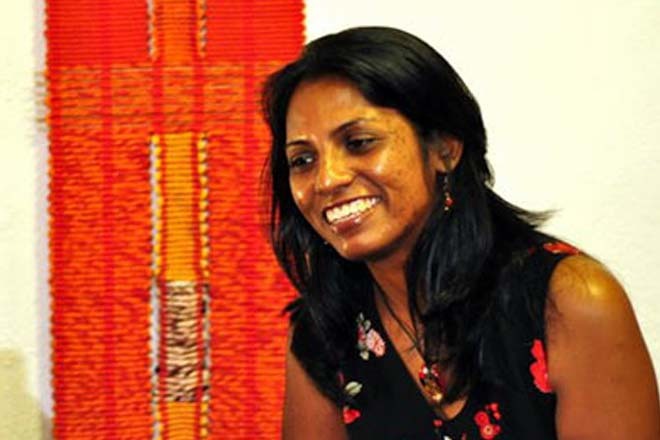 An established journalist from Sri Lanka, Mel was able to teach the Maldivians about business journalism. She asked tough questions and recognized that compelling stories must be built around compelling characters. Her integrity could not be bought and she set the same high standards for her students. We clicked right away. A few years later in 2010, I received a Fulbright grant to teach journalism workshops in Colombo and Male. Mel welcomed me to Colombo and helped me understand the challenges journalists were facing in a post-conflict environment with a government that did not welcome media scrutiny. We also enjoyed food and conversation at the Cricket Club, because you can’t understand Sri Lanka without a passion for its national sport. Some of the journalists in my workshop were writing for LBO, the business news website that Mel helped to launch. Mel was a world-class journalist who was modest about her talent. She could have made it at the Wall Street Journal or any major financial publication. She chose to use her skills in Sri Lanka. I always enjoyed it when she posted one of her stories on social media. Here is a link to one of my favorites. It has been heartwarming to read all the tributes to Mel from those whose lives she touched. I hope there will be more. Her stories should be collected and printed out to inspire future journalists covering Sri Lanka and the world. She always went beyond the press release to get to the heart of the truth. Perhaps there should be an annual prize for business reporting in her memory. I am deeply saddened that a senseless act of violence robbed all of us who will never read the powerful stories she had yet to tell. RIP dear friend. I already miss you. lost, is hard to regain. living: for those who knew and adored her to cope with grief. phone. No other motive is suspected. change and a piece of metal? I don’t think anyone has the answer. Or maybe everyone does. liabilities. Perhaps that Tunisian wisdom applies to us here and now. — about brutalising an entire society were shouted down. How do we protect ourselves from the phenomenon of our own making? Can we outrun our own shadows? Johannesburg, Mexico City and Bangalore? What next? Travel only in convoys at night, and start carrying small arms? probably be, but explore it we must. have to play a key role. goods, but also spur entrepreneurship. We all gain. burden the overstretched state either. frustrations spill over or blow up? go wrong – and the obligation to put things right again. This isn’t a call to charity, but an invocation of enlightened self interest. in our company mailing list. I noted many people talk about how her career as a journalist, etc. but what about the loss to the family. There may be another journalist to fill her role, but can anyone replace the loss to the family and loved ones. It is so tragic and am sure there is one of many tragic incidents taking place in this country. eroding values in the society, these kind of things may continue to happen. the society. Some media further promote such trend. Why would parents give tens of thousands for their young sons and daughters to party (for one night alone). When super class promotes values like these it trickles down to lower levels which try to follow them. in the process they spread competition, greed, violence, etc – from very young age. media workshop last year, that was my last encounter with her. loss for Sri Lanka to lose someone like her. and her demise is a very real loss to our country. I can’t believe she’s gone. among all news editors of leading electronic media institutions. Good by Mel, We love you. Really, really sad to hear and bear this loss. May you Rest in Peace! she was. But, like Nalaka says, she was very amiable, fun loving and stayed above the fray. where can I find this report? Mel, this. Mel, that). She is no more, but she will always be there. She will also, from those who loved her, be loved. Always. career, among the top few real business journalists in the country. have missed and places where I could have spiced it up. and most of all, your gleaming smile. Rest in Peace dearest Mel! correctly said that we should encourage eyes on the streets. country has become so violent and filled with crimes, murders, suicides. God Bless You and May you find comfort in Jesus.